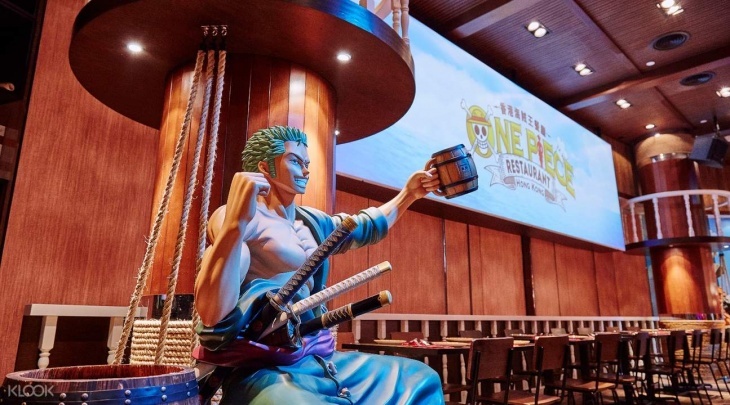 One Piece Restaurant Hong Kong are on a quest to bring all kinds of delicious cuisine to their fans in Hong Kong! Feast on cool themed dishes like Straw Hat Japanese Curry Rice, Justice Steak Sandwich, and more! Bring home a piece of the show with you by going on a shopping spree at the souvenir shop!